Emma and The Doctor. 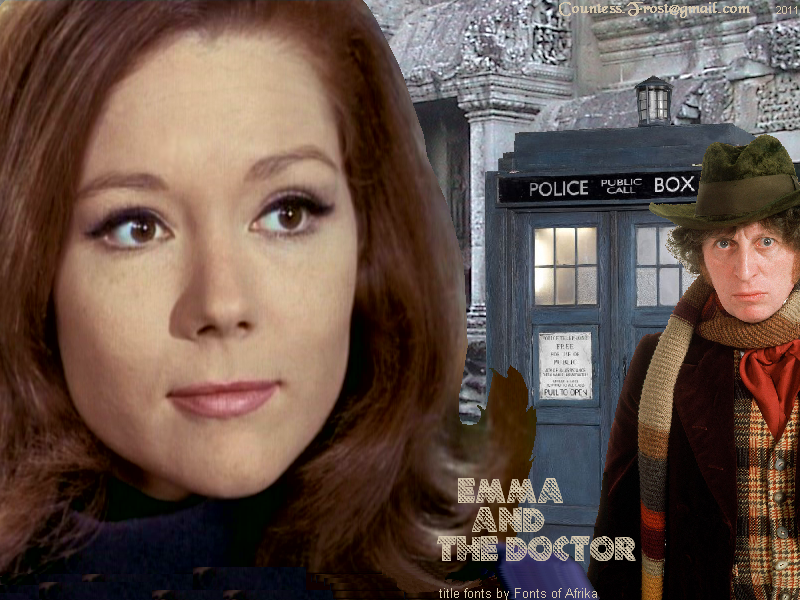 'Emma and The Doctor' - created द्वारा TheCountess, a crossover वॉलपेपर of Doctor Who and The Avengers TV shows with the Fourth Doctor (Tom Baker) and Emma Peel (Diana Rigg). 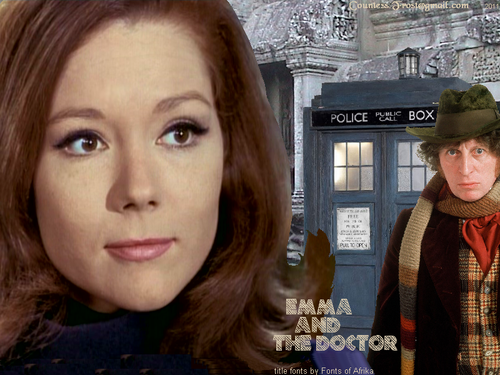 HD Wallpaper and background images in the डॉक्टर हू club tagged: emma peel diana rigg the avengers doctor who the fourth doctor tom baker tv show fan art wallpaper thecountess. This डॉक्टर हू wallpaper contains ऊपर का कपड़ा, overclothes, ऊपरी वस्त्र, and ओवरक्लाइट. There might also be सड़क, शहर के दृश्य, शहरी सेटिंग, शहर दृश्य, शहरी की स्थापना, हस्ताक्षर, पोस्टर, पाठ, चॉकबोर्ड, साइन, साइन इन करें, हुड, and डाकू. This is incredible. Took six years until I saw this amazing artwork Sharon!